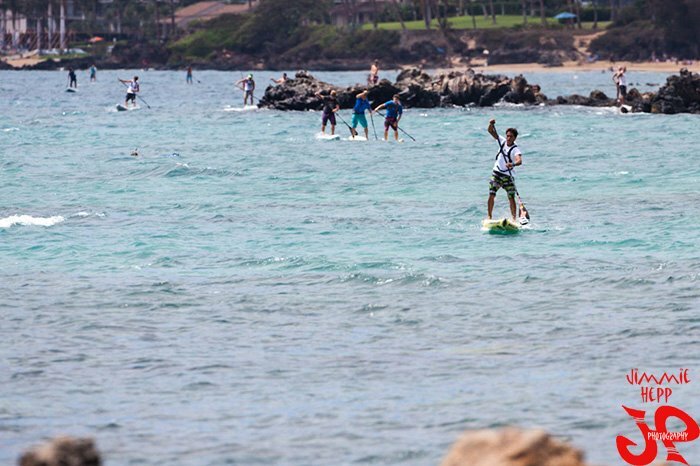 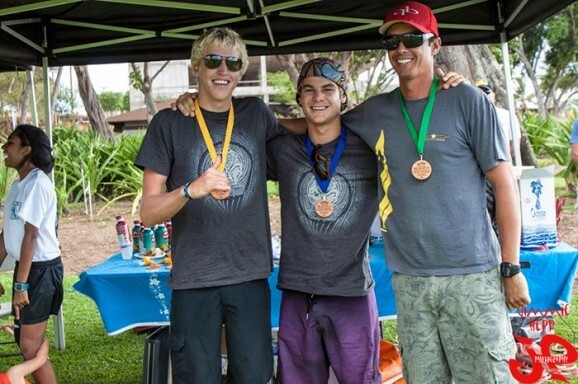 The Triple Crown of Stand Up Paddling continued on the weekend, with Connor Baxter taking out Race #2 (aka the Warrior Cup) at Kihei on Maui’s south side. 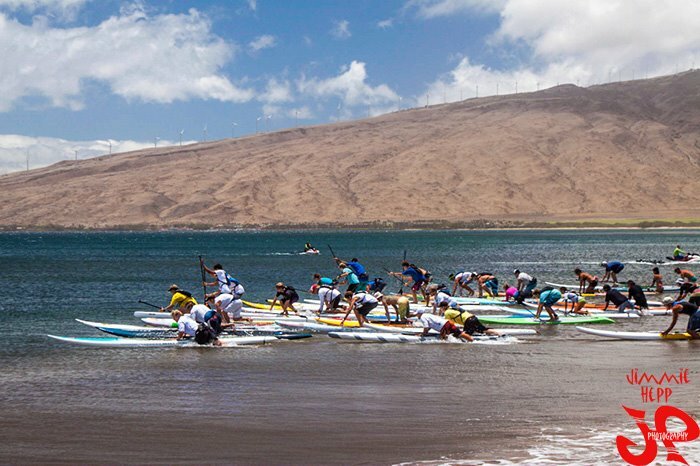 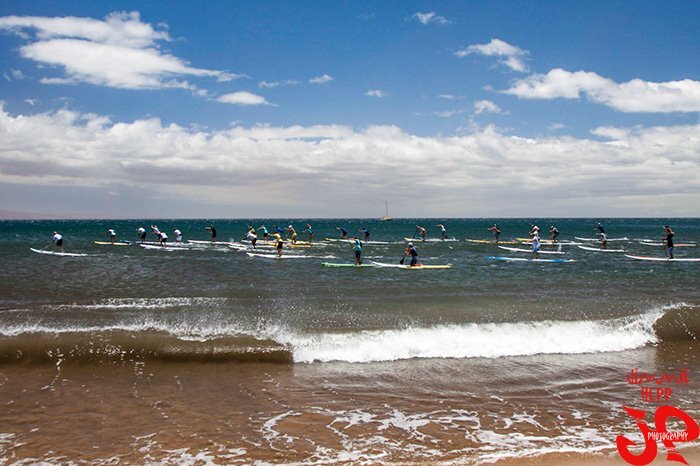 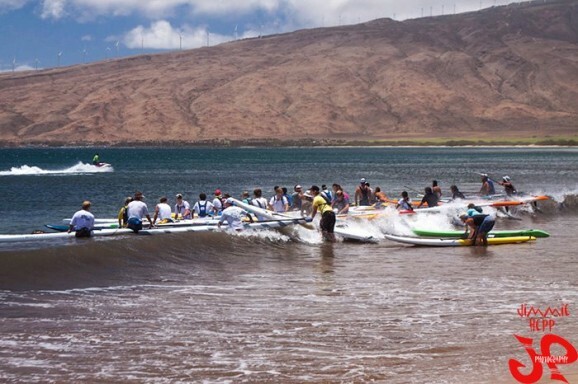 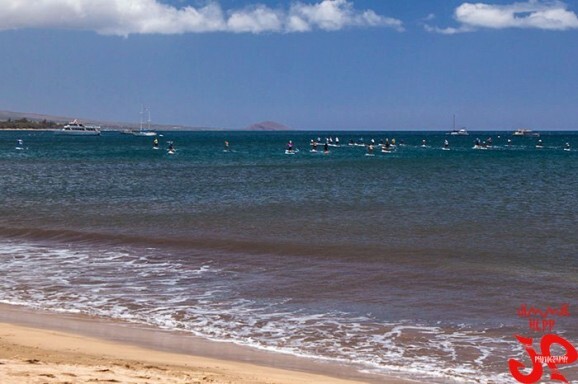 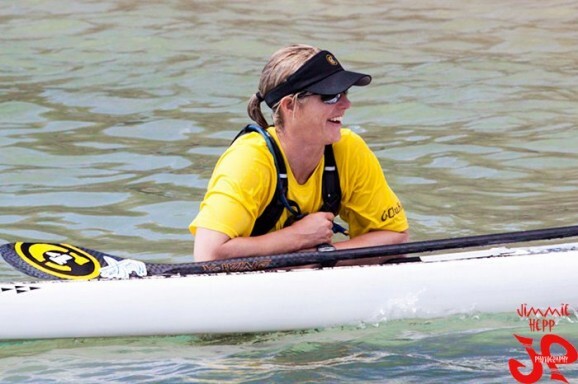 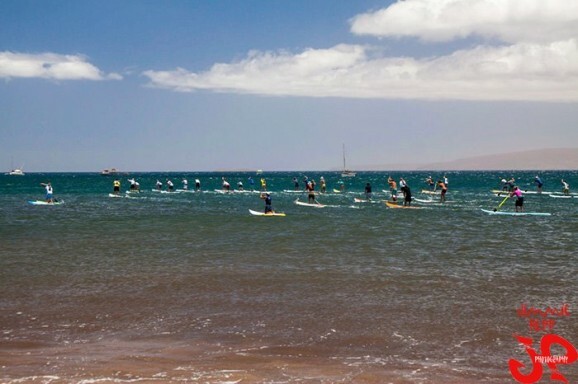 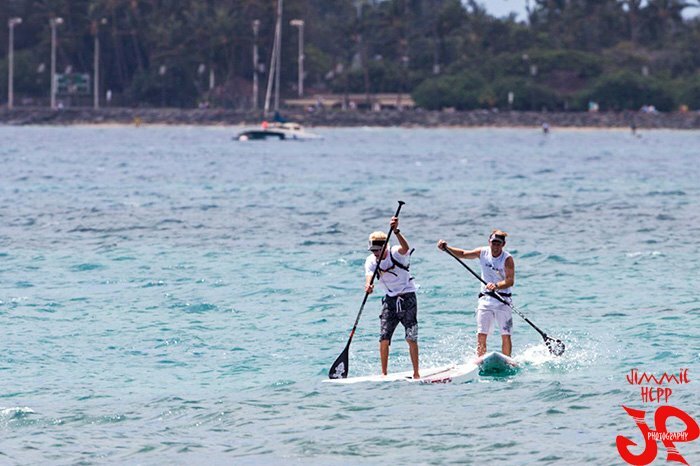 The race was set to be a 10 mile downwinder but conditions weren’t looking too friendly, so the organisers cut it down to a 6 mile course from the Maui Canoe Club to Kihei Boat Ramp. There were cross winds at the start and headwinds near the finish, making it a tough day for the traditional unlimited boards and allowing a couple of 14 footers onto the podium. Connor Baxter (Unlimited) was followed closely over the line by Bart de Zwart (14′) with Kai Lenny (14′) in third place overall. Meanwhile in the women’s race Andrea Moller was again totally unstoppable. 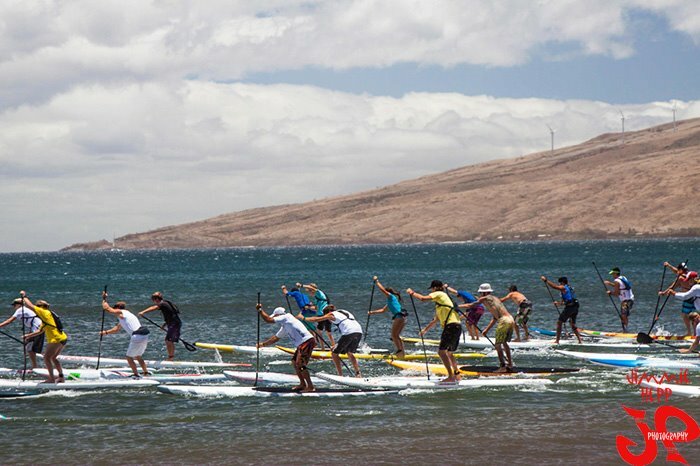 The Triple Crown of SUP wraps up next weekend with the biggest and best race of the series: the epic Maui to Molokai 27 miler. 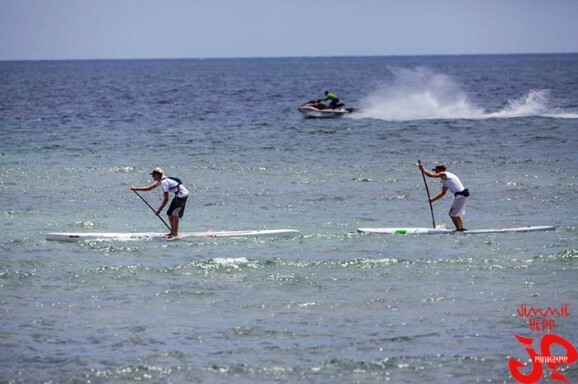 In the meantime you can check out some great shots of the action thanks to Jimmie Hepp, or scroll down to see the full race results.